I looked into the eye of the iconic bookshelf in Christopher Nolan's Interstellar and what I saw was beautiful. 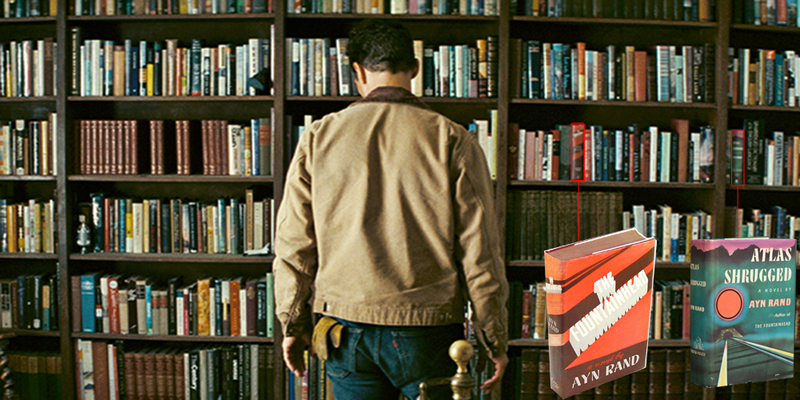 Recently, Wired released an article revealing 9 Easter Eggs From the Bookshelf in Interstellar. For those people who haven’t seen the movie yet, the bookshelf and the room its housed in play a major role in the movie, acting as a sort of backbone that culminates in the film’s emotional climax. 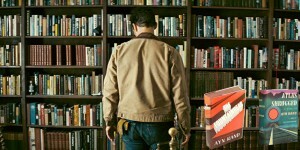 The Wired article approaches the set piece on a detailed level, pointing out specific books that line it because director Christopher “Nolan, for his part, is absolutely using the books to communicate…: The volumes he chose for [the] shelves relate to the characters in the film—and to his conceptual world. ” They note such epic works as The Stand by Stephen King, Emma by Jane Austen, and A Wrinkle in Time by Madeleine L’Engle. However, even though they spoke to Nolan directly about what he chose to include, their article curiously doesn’t note two prominently visual classics. Just how influential is Ayn Rand on Christopher Nolan? Can a Superhero Be an Objectivist?